For over 50 years, Purple Shield has been offering final expenses solutions in Canada. its in-house sales team sells its policies, which are underwritten by Assurant Life. Assurant Life is a member of the insurance company insurer Assuris. As an indicator of financial strength, A.M. Best recently gave Assurant Life an “Excellent” A- rating. Assurant Inc., Assurant Life of Canada’s parent company, is a provider of specialized insurance products and related services in North America and selected international markets. Assurant, a Fortune 500 company and a member of the S&P 500, is traded on the New York Stock Exchange. It has over $24 billion in assets and $8 billion in annual revenue. Purple Shield offers a full range of payment options ranging from a single payment to paying over 20 years. Depending on how the applicant answered the health questions asked, coverage can start from day one or the death benefit can be deferred, meaning if the insured dies within the deferred period, the death benefit is limited to a return-of-premium, plus interest. All policies come with a free Wishes & Memories Planning Guide and, for an additional cost, a Travel Assistance Rider can be added. The Travel Assistance rider helps out with numerous final expenses if something should happen to the insured while they are traveling. Extra money can be put into the plan to help out with extra costs that may occur, such as cemetery expenses, donations, traveling expenses and other incidentals. Some people choose to put extra money aside, just so that their family has immediate financial help. There are limits to how much money a person can shelter in a single plan and these limits are impacted by the size of the policy and the insured’s age. The higher the contribution, the more that additional funds can be differed. 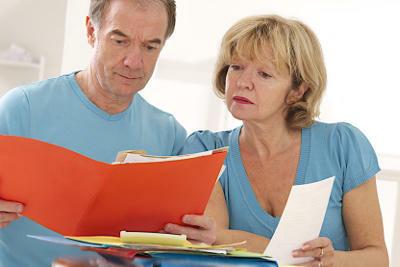 Also, the beneficiary on these insurance policies can either be a funeral home or a named beneficiary. ‹ How Does Canada Purple Shield Stack Up Against Its Competitors in the Funeral Insurance Market? Can I still get Funeral coverage if I had cancer? Yes you can still get life insurance to cover Funeral Expenses if you had cancer. To determine which plan is best it will depend on when you diagnosed with cancer, you last treatment and if you were declined in the last 2 years. How do I get off your direct mail list? Thanks you would have to contact Purple Shield directly.